Daniel Lai is a seasoned executive and Information Technology (IT) professional with significant managerial and technical experience both in the private and public sector covering different domains in Hong Kong, Mainland, and Australia. With his vision, leadership and ability to execute and deliver, he has created innovative IT solutions and led many business transformation projects. 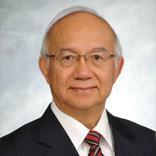 Prof. Lai joined Hong Kong Polytechnic University as Interim Vice President (Administration) on 19 March 2015. He applied his extensive experience in managing financial and human resources in sizable organisations, his vision and expertise in information technology, his past experience in professional developments, tertiary education, as well as his recent vision and involvement entrepreneurship, incubation, and start-ups development in this role. In September 2015, he stepped down as IVP(A) and was appointed a Professor of Practice (Computing) with Department of Computing. Prof was appointed Programme Director of Hong Kong Jockey Club Charities Trust Computational Thinking Education Programme in April 2016, to develop and implement a formal CT curriculum for primary schools in Hong Kong. This is a collaborative programme with the participation of Hong Kong Education University, Massachusetts Institute of Technology, City University of Hong Kong, and Stanford Institute of Research. In October 2015, Prof Lai was appointed an Independent Non-Executive Director of Digital China Holding Group, one of China?s largest IT companies. Prof. Lai was Government Chief Information Officer (GCIO) of Hong Kong SAR Government from January 2012 to January 2015. His responsibilities included developing appropriate E-Government programme; promoting IT in the community and the business sector; bridging digital divide; and to champion the adoption of new technologies and the development of innovative applications and services. Technology Start-ups and data centers facilitation programmes, staging of International IT Fests, and ICT collaboration with mainland. He also led the development and provision of Wi-Fi service and mobile applications for the public, and made public sector information available in digital format. He advised government departments on IT projects and provision of public services through the internet, developed the Government cloud computing strategy and successfully introduced cloud platforms, strengthened information security and contributed to developing Hong Kong to be a Data Centre Hub in the region. His was also responsible for planning and controlling IT expenditures. More recently, he developed IT Professional Recognition Framework and Smart City initiatives for Hong Kong. As the Chief Information Officer/Head of Information Technology of MTR Corporation Ltd. from 1999 to 2011, he contributed significantly in many business transformation initiatives to streamline operations and improve customer services, including the Year 2000 rectification programme, implementation of Enterprise Resource Planning and Asset Management Systems to support railway operations in Hong Kong, the mainland, and overseas. He led the very successful systems integration for the merger between MTR and KCR corporations, and introduced effective IT governance and enterprise architecture to ensure business and IT alignment, and cost-effective IT investments. He also established effective near-shore outsourcing arrangements, and successfully transferred information systems and processes from Hong Kong to mainland and overseas operations and localized and implemented them to introduce best practices and support efficient operations. Daniel held senior IT managerial positions with The Hong Kong Jockey Club (HKJC) in Hong Kong and Australia between 1978 and 1999 and played a key role in HKJC?s computerization journey, and contributed to making HKJC one of the most advance IT installations. His corporate management skills were developed through his appointment as the General Manager of the Club?s off-shore technology center in Australia where he established the center from scratch and developed it to be one of Queensland?s most prominent IT companies. He also acted as HKJC Director of Information Technology in 1998. His solid foundation on systems development, IT infrastructure and operations management were developed through his service with Hong Kong Electric Company Ltd. from 1968 to 1978, and as a trainee with NCR(HK) Ltd from 1966 to 1968. Daniel has a strong passion on technology and IT, he was instrumental in promoting and adopting advance technologies in Hong Kong including Image Processing, secure mobile technology, Object Oriented technology, RFID, Artificial Intelligence, and cloud computing. Over the years, Daniel Lai attained additional and significant exposure and experience through services in government, public services and educational institutions; and in holding directorship appointments of a number of institutions and enterprises. Daniel is well respected in the IT sector, and is regarded as one of the most influential IT leaders and most distinguished CIO?s in the region, as evidenced in attaining many local, national, and international awards. He is among a few IT professionals that have a wealth of experience and exposure at senior level both in the public and private sectors, as well as in academic and research communities.